Indian bowlers triggered a collapse taking five wickets in the morning session as England managed to stretch their second innings lead to 99 runs, reaching 86/6 at lunch on the third day of the opening Test at the Edgbaston Cricket Ground in Birmingham on Friday. Now England 93-7, leading by 106 runs. 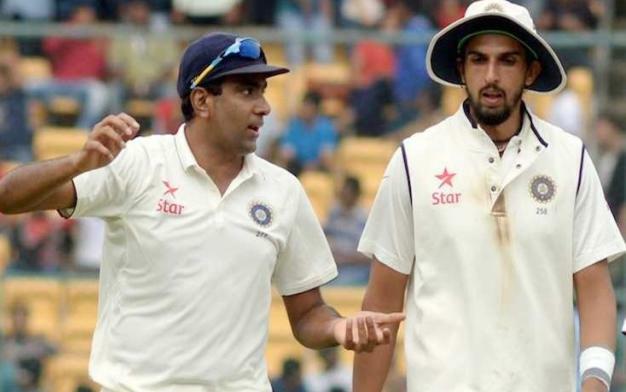 Pacer Ishant Sharma produced a brilliant spell that saw him take three quick wickets after off-spinner Ravichandran Ashwin dented the hosts with two wickets within the first hours of play. Ishant removed Jonny Bairstow (28) and Ben Stokes (6) just at the stroke of lunch even as England lost the key wickets of opener Keaton Jennings (8), skipper Joe Root (14) and Dawid Malan (20) in regular intervals. Ashwin once again turned out to be the tormentor of the England line-up, as he continued from where he left on Thursday. Ashwin, who dismissed former skipper Alastair Cook for a duck on the second evening to leave the hosts reeling at 9/1, started off the proceedings on Friday and immediately succeeded in packing back an in-form Jennings, caught beautifully by Lokesh Rahul at second slip. Struggling at 18/2, Root along with new man Malan played out Ashwin watchfully but the offie constantly kept asking questions before prevailing over the English captain. Root fell while trying to pull Ashwin only to find the ball landing in the safe hands of Rahul at leg slip before Ishant joined the party in rocking the English line-up. The lanky Delhi pacer first dismissed Malan caught by Ajinkya Rahane, before packing Bairstow and Stokes within a span of three balls. While Bairstow fell to the safe hands of Shikhar Dhawan at second slip, one ball later Stokes was brilliantly caught by skipper Virat Kohli at third slip as England started looking down the barrel at the break.